This letter art picture combines New York photography with, of course, CATS! All the pictures are from actual New York landmarks. 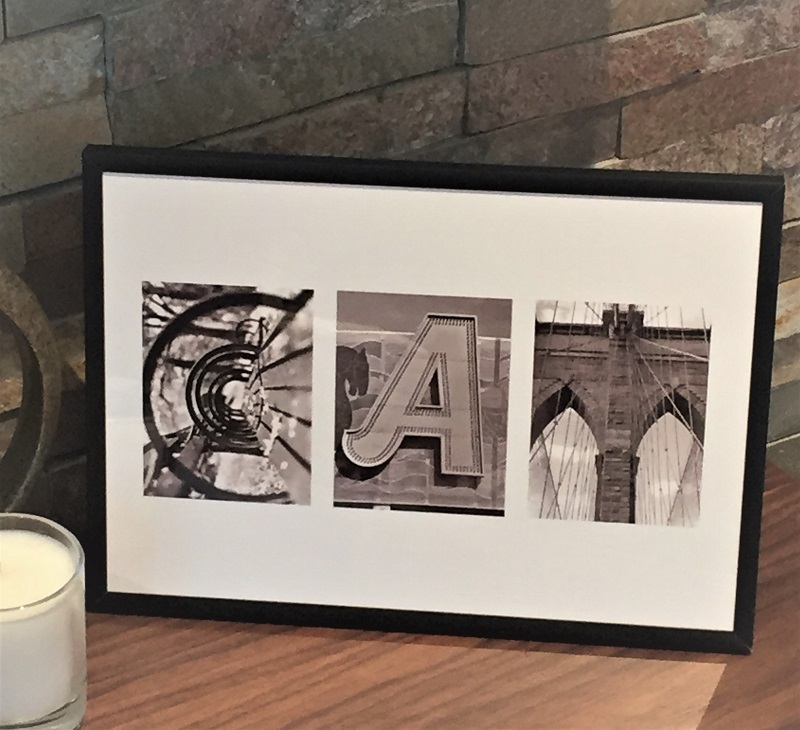 The 'C' is of iron railings from a bench in Central Park; the 'A' is from the famous Carousel sign in Coney Island; the 'T' is from the iconic Brooklyn Bridge. Comes in a simple black frame.